At 6:00 pm, an hour earlier than the usual start of FCCJ screening events, writer-director John Junkerman reassured a surprisingly large audience, “I’ve been told that the film doesn’t feel as long as it actually is.” At 9:30 pm, as the hour-long Q&A session was winding down and hands were still going up, the true extent of his accomplishment became clear. Not only was there consensus that the film’s 148-minute length was warranted by the complexity of its subject, but with the exception of one vocal dissenter, praise was effusive for Junkerman’s even-handed illumination of the troubling history of occupation, human and civil rights violations, and dogged resistance in Okinawa — an ongoing flashpoint in US-Japan relations that is drawing even greater attention in this, the 70th anniversary year since the end of World War II. 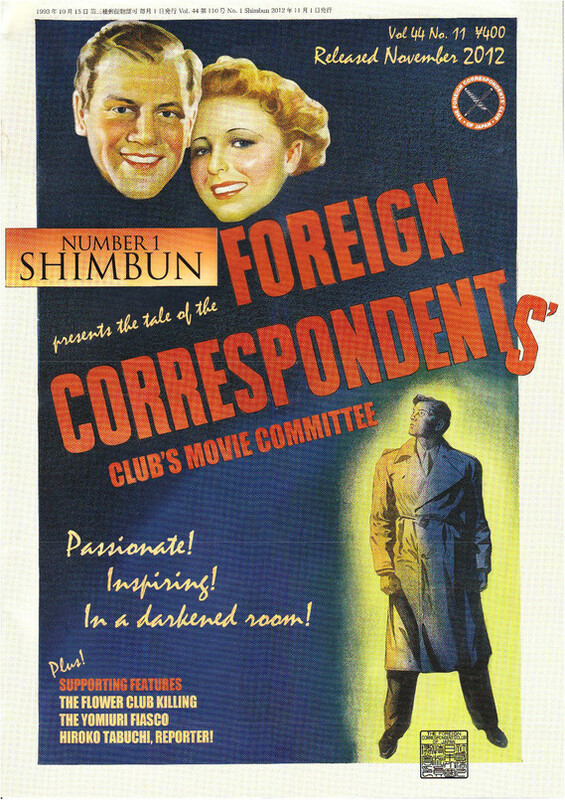 The club’s screening of Okinawa: The Afterburn was held just days after Okinawa Gov. Takeshi Onaga’s return from a trip to Washington, DC, where the US departments of State and Defense confirmed their “unwavering commitment” to go forward with construction of the huge new Marine base in Henoko, despite convulsive and constant protests from Okinawans for over a decade, and just weeks ago, a crowd of some 35,000 protestors surrounding the Diet in Tokyo. Junkerman's history with Okinawa goes back to the mid-1970s. Junkerman, Academy Award®-nominated director of Hellfire: A Journey from Hiroshima, among a slew of award-winning documentaries like Power and Terror: Noam Chomsky in Our Times and Japan’s Peace Constitution, opens his landmark new film with Adm. Matthew Perry, who arrives in the Ryukyu Kingdom in the 1850s and immediately sets about trying to claim it. Some 90 years later, his plans finally come to fruition: After the 84-day-long Battle of Okinawa, the bloodiest conflict of the Pacific War, has taken the lives of some 240,000 people, the US begins its occupation of Japan’s southernmost prefecture. The film makes it clear that, despite its reversion to Japan in 1972, the island is still occupied. and has produced 5 films about Okinawa. Junkerman and his close collaborator, Tetsujiro Yamagami, the founding president of social-issues film company Siglo and the producer of five previous films about Okinawa, attempt to pierce the shroud through interviews with American, Japanese and Okinawan survivors of the Battle of Okinawa, tracing its fraught legacy. The director makes crucial use of footage shot by the US during the course of the war; but his trademark approach is to allow eyewitnesses to relate history as they lived it, and Okinawa: The Afterburn features several revelatory accounts. Issues of wartime guilt are movingly recalled by such survivors as Hajime Kondo, who admits that the Japanese sense of superiority over the Ryukyuan people accounted for some of the war’s worst atrocities: “We committed many abuses here in Okinawa,” he laments. Others recall the Chibichiri-gama mass suicide-murders, the 140 comfort stations staffed with “pigua” (comfort women), and the students who were forced by Japanese troops to throw bombs underneath US tanks. Junkerman hopes to screen the film across America.